For decades, nonprofits and other social impact organizations have been using monthly, bimonthly, and weekly newsletters to update their supporters about their latest events and achievements. While the aim of newsletters has pretty much remained the same, the method of delivery has evolved. Newsletters are no longer sent to our mailboxes, but to our inboxes. Although this makes sending newsletters quick and affordable, it does make it easier for readers to simply ignore them. 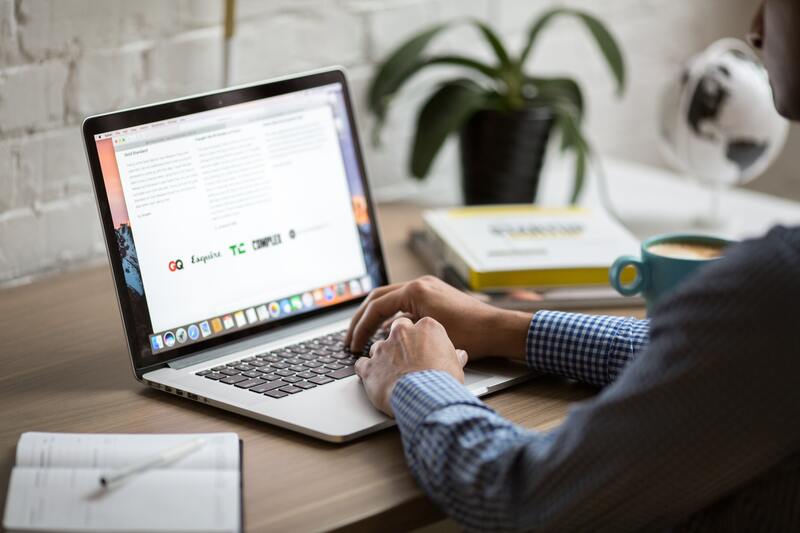 Newsletters have been chastised for being a thing of the past, but study after study puts email marketing as the most effective way for nonprofits to build awareness, acquire leads, convert prospects, and retain current customers, even after compared to social media. An email address is extremely valuable because it provides you with a direct line of access to your subscribers. In exchange, they expect content that is valuable, engaging, and relevant. Below we outline only some of the many reasons why nonprofits should invest in email marketing. Email marketing services are generally free for smaller nonprofits (or nonprofits with smaller email lists). As your email list grows in size, email marketing remains very cost-effective. Email marketing is the king of the marketing kingdom with a 4400% ROI and $44 raised for every $1 spent. Email marketing tools have become so simple and intuitive that one doesn’t need to know a line of code to use them. Professionally designed templates, drag and drop features, and other easy-to-use editors have made sending emails easier than ever. Emails reach your audience almost instantaneously. In addition to that, email beats social by 40x for customer acquisition. Email marketing allows you to acquire customers, supporters, donors and volunteers faster than any other method. 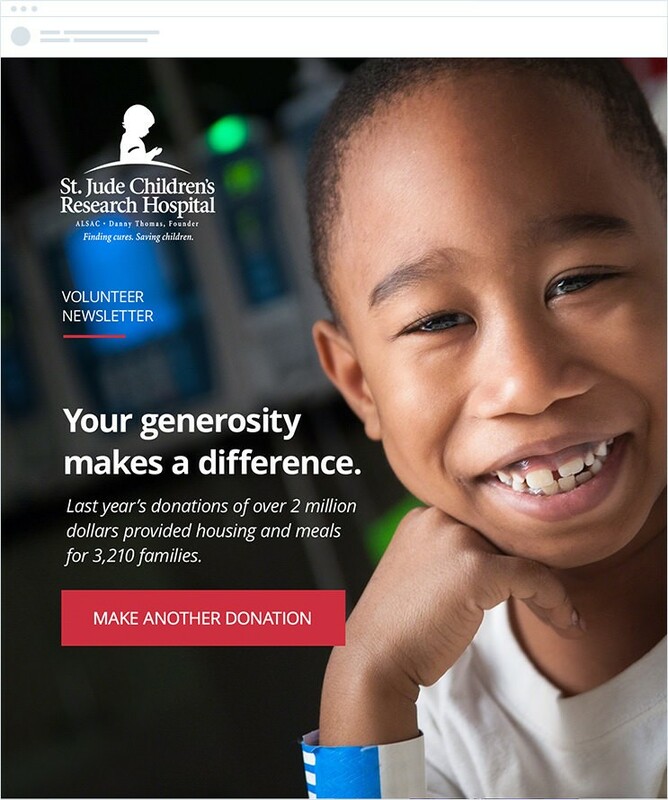 Nonprofits are increasingly turning to email marketing to promote specific fundraising campaigns or solicit monthly donations. Some sectors garnered over 35% of their online revenue from email (Health: 36%, Hunger/Poverty: 37%, Cultural: 39%, Rights: 51%). Although open rates matter, sometimes they are not a definitive indicator of increased brand visibility. E.g. Sometimes when we receive brand emails, but we’re not looking to buy from them right now, we quickly swipe and delete the message. However, even if we delete the message, we’ve still registered the logo/name (brand visibility) and the key message (subject line). 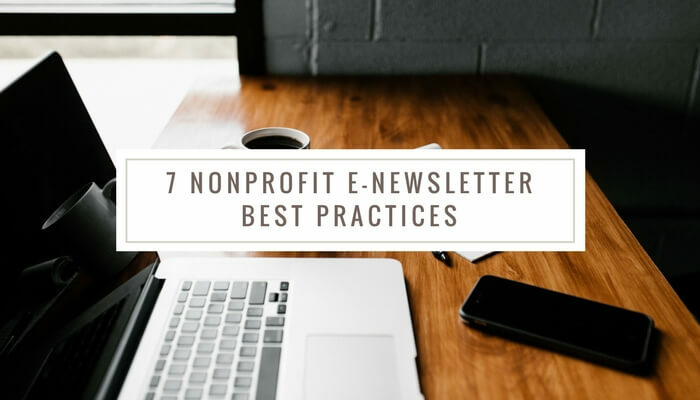 As a result of all of these benefits of email marketing, an increasing number of nonprofits have upped their e-newsletter game. This means that the number of subscribers to nonprofit email lists has also been growing. It’s tempting to think emails are an easy win. However, your subscribers are swamped by dozens of emails every day, including fundraising and advocacy emails and fundraisers. Therefore, even though the number of subscribers is growing, the engagement rates are dropping. With this in mind, how often do you think about what happens after you hit the send button? And how often do you send your emails strategically? A healthy email list is essential if you want your nonprofit newsletters to be effective. Make sure you ask every email subscriber for permission to join your list. The easiest way to ensure that you have permission is through a verified opt-in. Furthermore, after sending out your email newsletters or campaigns, take a look at your soft and hard bounces. Therefore, soft bounces are usually a short-term issue – you don’t need to permanently take these addresses off of your list. However, hard bounces are either invalid or non-existent addresses which you should remove immediately. If you’re getting a lot of bounces, or if your open and click rates are low, you should re-evaluate your email list. Generally, the aim of nonprofit newsletters is to inform the subscribers. The key to keeping supporters informed is frequency and consistency. It’s best to create a schedule and stick to it, so your readers know when they can expect to hear from you. Put reminders in your calendar and always plan your nonprofit newsletters well in advance. The easiest way to go about this is to create an editorial calendar. 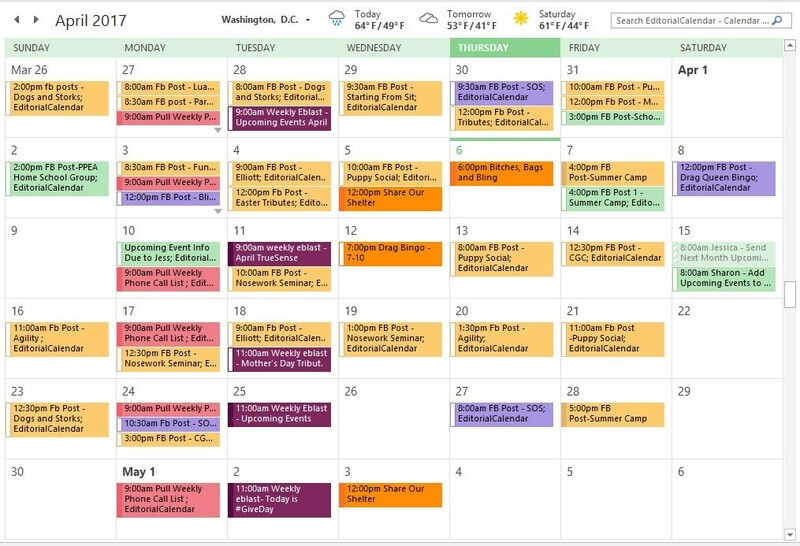 An editorial calendar is a chart showing dates when content should be published, but also maps the content, responsible parties, persona targets, and delivery methods. Include your newsletters in an editorial calendar, together with your blogs, social media posts, and other content. Having auto-responders set up helps the consistency and brand visibility (e.g. 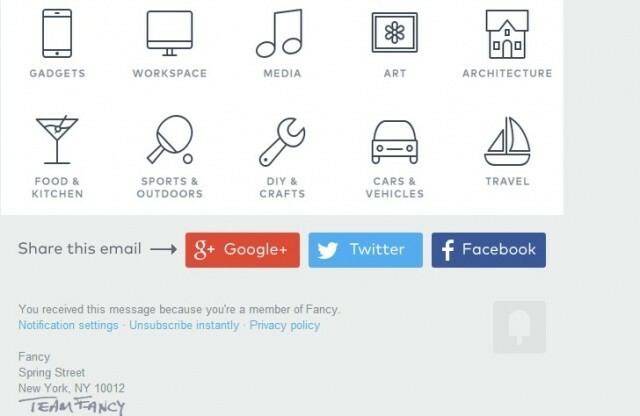 when someone signs up for your newsletter, they immediately get an email). However, although you want people to remember you and look forward to receiving your newsletter, you don’t want to drive them away either. Your email schedule should, first and foremost, be determined by how often you have great content to send. Just make sure that the schedule is at least consistent, if not regular. The time it takes an average user to make a judgment on your email and your website is 50 milliseconds – not even a full second! This means the users are making all kind of assumptions about your nonprofit, how credible it is, do they trust you enough to give you their money, do they want to volunteer with you etc. For example, because John thinks your design looks cluttered, hard to read and confusing, he assumes your nonprofit is bad. Readers won’t even move forward from your email if they don’t like its visual appearance. Good design increases the chance of subscribers answering your call to action (signing up, donating), and keeps their experience positive even when they run into problems. White space is the space between words, lines of text, images, letters, buttons. Your content should be able to breathe. Make sure your pages aren’t overcrowded, and that the elements are surrounded by lots of space. It’s important to pick one typeface and stick with it. If you use several different fonts in one newsletter, it can make it look unprofessional and spammy. Use a sans-serif font like Proxima Nova and choose a body font that’s bigger than what you would think (14 or 16px). Don’t forget that colors come in different shades! When you pick your colors, pick specific shades and stick to them. Check out this Adobe’s tool for help choosing a perfect color palette. Use big and bold imagery in your newsletters to immediately engage subscribers and draw them in. This makes it very easy for readers to quickly identify the key message. Finally, your nonprofit newsletter design needs to be mobile-responsive. Over half of all emails are being opened on a mobile device, so having a design that adapts to the reader’s screen size is simply a must. A subject line is the first thing your subscriber sees in their inbox. There’s no doubt that how you name your email can make or break your communication. Research has found that a subject line with 29-39 characters gets the best click-through rate and that a 4-15 character line has the best open rate. A sense of urgency helps convert readers. E.g. 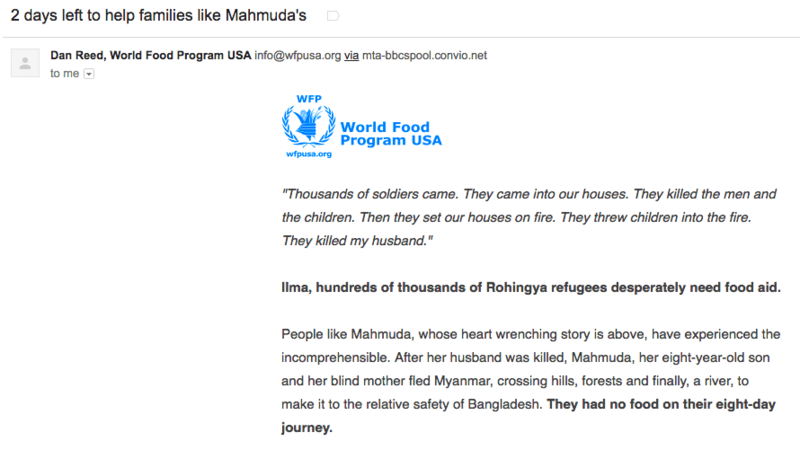 “2 days left to help families like Mahmuda’s” by WFP. Utilizing numbers helps too. Your subject line should entice curiosity. However, don’t go overboard and make the subject line too vague. Readers still like to know what’s in an email. Choose your most compelling content for the subject line to capture the reader’s interest in reading more. Pro tip: Avoid using spam-sounding words like “limited time,” “free,” “opportunity,” and “only” in your subject line. If possible, personalize your newsletter by using the recipient’s first name in the subject line. Then try using the recipient’s name elsewhere in the email too. If possible, do some A/B split testing to understand which subject lines and emails generate the highest open and click rates. Pro Tip: Try asking a question in your subject line. And never name your email newsletter “May Newsletter” or “Animal Fund Newsletter #36” – nothing could be less engaging! A lot of things happen for your non-profit every week. However, do your supporters need to know about all of it? If not, how does one know which information to include in a newsletter? Unfortunately, there’s no universal rule. What your supporters are interested in depends a lot on who they are and what you do, but generally, they want to know what you’ve achieved as an organization and how their support has helped you. They also want to know what you are currently working toward achieving, and they want to be thanked. The best way to go forward with this is to segment your email list. This means that you send different newsletters to different groups of people, which you previously segmented based on their interests (them having expressed their interests). For example, you could send information about who was appointed to your board of directors to the more business end of your supporters. Another rule of thumb is to assume that people don’t care that much about you. Very few people will sign up for your newsletter just to get “news” from your nonprofit. That will rarely attract people to sign up for an e-newsletter, so you’ll have trouble building your list. Try to always include helpful tips for your supporters (e.g. if you’re an animal rescue organization, you could include tips on how to best take care of a pet). Make sure your newsletter has excellent stories (specifically about outcomes and volunteers). Make sure your newsletter has clear calls-to-action. Make sure the messaging is about the subscriber more than your organization. We’re also constantly multitasking, even if we are not good at it. This means your supporters are squeezing their inbox checking in between meetings, train stops, and lunches. Most of us generally scan email, not actually read it. Start by thinking about what is the most important information you need to convey. Make your newsletter “scannable” with bold headlines and bullet points where applicable. Write short paragraphs and sentences. They are easier to skim. Choose descriptive headlines and subheads with active verbs and vivid nouns. These will grab your supporters’ attention and nudge them into actually reading the text. Try focusing on a single story, or a single call to action. 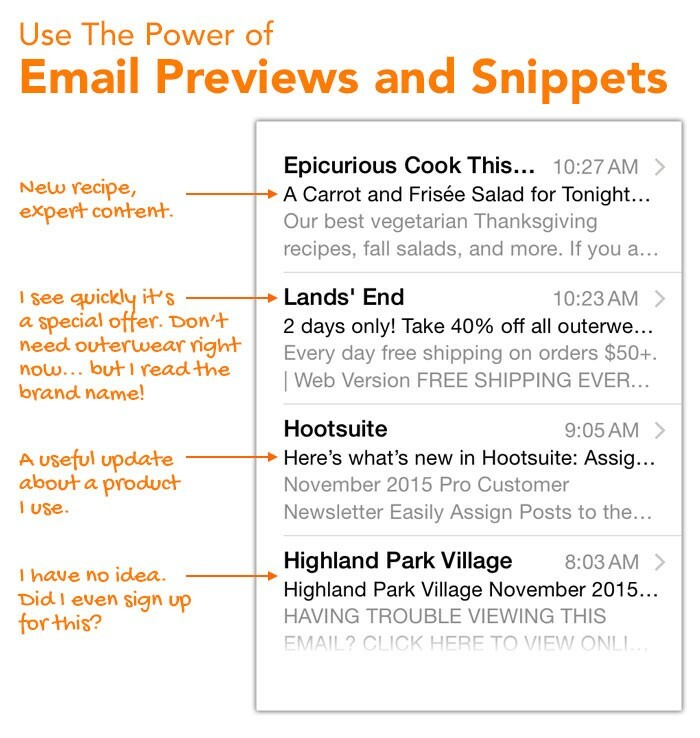 Carefully craft the message in your preview snippet. Sometimes, thinking about managing your social media channels, your blog, and your newsletters can be overwhelming. However, these three don’t have to be thought of as three different silos. They can work together, and work well! Connect these channels by cross-promoting each channel on the other ones. For example, include the beginning of a blog post and a key graphic in your nonprofit newsletter. Have people click through to read the entire article. That keeps the email short and it allows you to track clicks. Then, promote the blog post. Email messages are increasingly including options to share content on social media platforms such as Facebook and Twitter. What’s more intriguing is that options to share on these social platforms generated a 115% better CTR (click-through-rate) than emails with no options to share the message. Include all of your social media links and easy share buttons so readers can post your content to their newsfeeds. Ask readers to forward your newsletter to friends and family members. Offer incentives to those that get peers to sign-up for your newsletter. When it comes to email newsletters, there’s no magic formula for what will work with your readers. Experiment. Keep in mind the best practices, tools, and techniques discussed throughout this article, but view them as guidelines. Take a chance on these ideas. If they work, great! Use them in the future. If they don’t, they will help you figure out what you should avoid in the future. 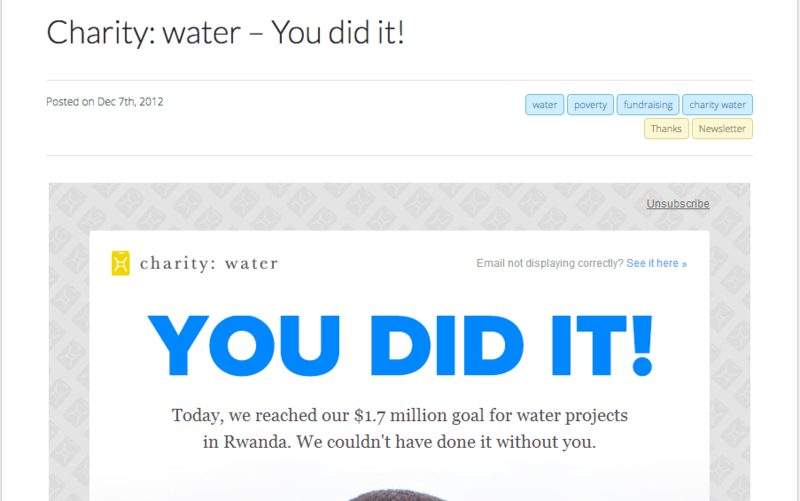 Ultimately, nonprofit newsletters are worth investing in. They are an essential communications tool. They have the ability to inspire, connect, engage and raise money. Your newsletter can make all the difference. And with just a little bit of planning and effort, you can turn your newsletter into a transformative tool for your organization.